We understand why certain people don’t think fashion is art. With all the fast fashion and bootlegs of design infiltrating the market, it is not hard to instantly dismiss fashion as just a collection of practical, trend following consumer goods. But, if you do look closely, you will see that there are a lot of fashion designers trying really hard to extend their expertise in textiles and fabric with fine art concepts, in which this 17SS collection has done a perfect job of. The Issey Miyake and Ikko Tanaka collaborative collection are not new, their first collection happened last year in 2016. 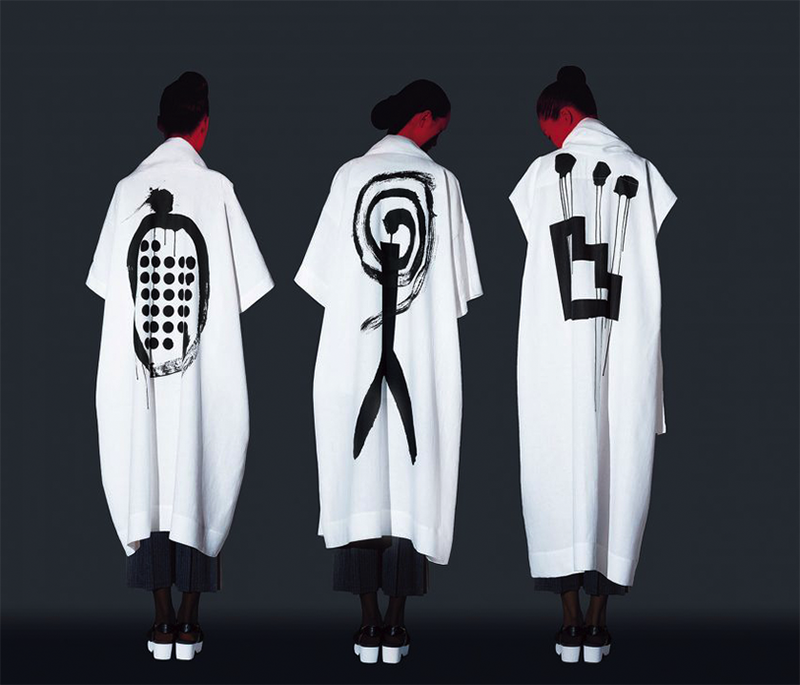 Yet, this year, they have decided to release another series together, where Miyake continues to pay her tribute to the influence that Tanaka has brought to the art and design world. Tanaka, who was born in Nara in 1930, graduated from the Kyoto University of Arts (京都市大學 藝術學院) and began working in several different companies before establishing his own Ikko Tanaka Design Studio in 1963. Due to his extensive involvement in international exhibitions and fairs for the promotion of Japanese design, he acted as one of the most powerful forces in making the world pay attention to the Japanese design industry. Until he has passed away in 2002, he still remained to be active in promoting his home country’s art and design. His works merge the contemporary Western design concepts with the Japanese traditional crafting concept of Rimpa School and Ukiyo-e together. This is one of the reasons why his works remains to be timeless and powerful today. 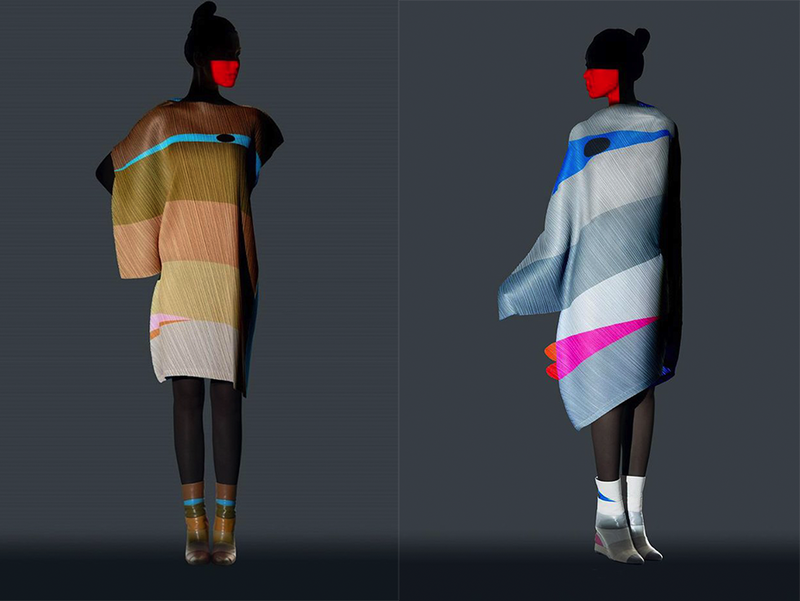 Issey Miyake decided to turn the great 2D works by Tanaka into dimensional fashion pieces, where a new wave of energy is injected into the designs. 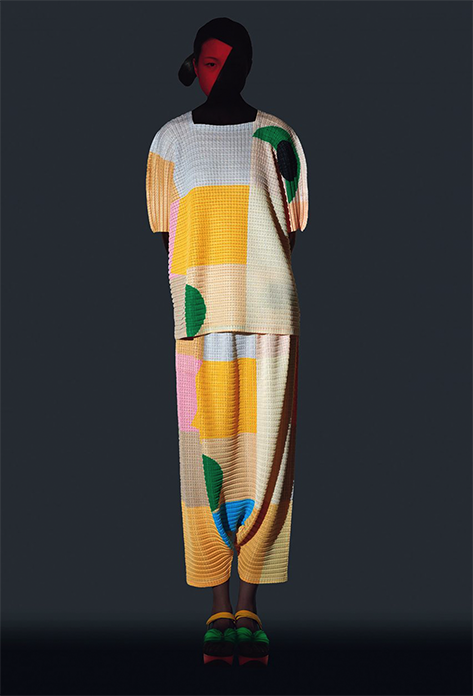 Taking from Tanaka’s 1995 “Face” and 1996 “Bokugi” collection, Miyake has recreated them onto organic fabric, allowing for Tanaka’s vision to be enjoyed and worn by those who continues to appreciate his artworks, influence and unique concepts.